Everyday we face that situation when we have to figure out the truth. We all need to lie from one time to another but some people are professional liars who can fake it very well and make big stories out of nothing. The key element in detecting a liar is to listen and watch carefully. 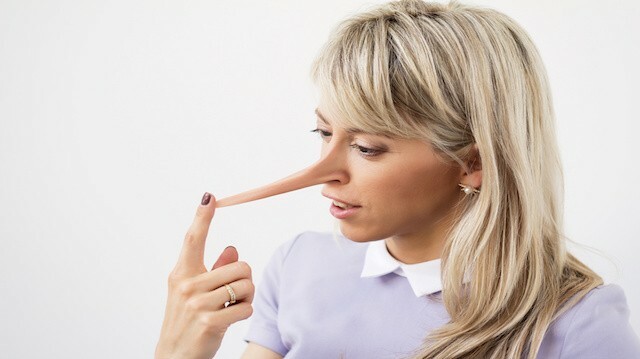 Here are some tips for how to figure out if someone is telling a lie. Most of liars will fall to that point especially the non-experienced or the non-prepared ones. Listen carefully to their stories and catch contradicting events. For example if someone tells you he heard a gunshot and kept running but he didn't look, how come?. Everyone hearing a gunshot should have a look first even involuntarily. When someone lies he expects the other part to be listening to his whole fake story. catch some tiny detail and ask him a surprising question that he isn't prepared to. Psychologists guarantee this tip will work with most of liars. Unless someone is not facing an extreme situation, he tends to keep his normal behavior. If someone is normally calm he tends to stay calm when telling the truth and vice versa. When someone is faking a smile or faking anger, they will tend to show a glimpse of their real emotions in a fraction of a moment. stay focused to catch that emotion. Liars tend to show some degrees of uneasiness during telling their stories. They seem to be telling a hard story rather than the simple real version. They get angry when you widen the details by your questions because it makes it even harder for them to keep lying. Liars tend to tell too much unnecessary details and along story full of lies that is irrelevant to the story line. Take that example of someone lying about the reason he got late on a date: I went to the store where i found nice apples and lots of sales for items then i went out and stumbled into a poor homeless man who kept telling me stories about.. bla bla. That is certainly a lie to explain that he simply forgot about the date or even woke up late. Although some people may tell real fancy stories but some of these fancy stories happen to be all truth. Always keep in your mind that the story might be real after all because liars don't bother faking real weird stories rather than recompiling events from real life to run for their favor. When you know someone quite well there will be lots of common details between you and them. Use these common details, common friends, common places where you go to together to match his story with the real version. Finally this article is only meant to help you catch liars who cause harm to other people by their lies, but some lies are really necessary and you shouldn't dig out for the truth when you know that it will hurt the most and may destroy someone's life. Judge by the results and don't lay a hand in ruining someone else's social or career life. If you like this article share it with your friends.